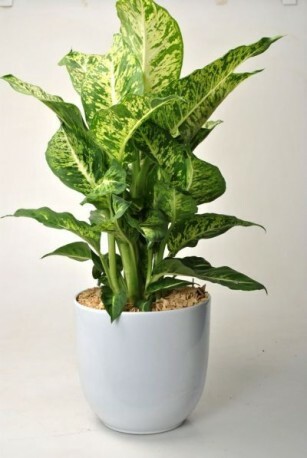 Nice bicilor dieffenbachia in ceramic base . Easy care plant for everyone . Give to the office the green color that it need.